One ride I didn’t expect to enjoy. Two passengers are awakened 90 years early after a spaceship malfunction en route to a distant colony. From all the negative press, I was bracing myself for something horrific. A loved up but incredibly naff Gravity rip-off. Oh no! The opening act was completely different to what I had expected. For the first 30 to 40 minutes, we had just Chris Pratt. Lost in space. After his stellar performance in Guardians of the Galaxy, I was worried that Pratt was becoming a one trick pony. Delivering his usual comedy shtick. BUT he delivered a much more serious turn. A little slow burning BUT riveting as Jim wandered the vast and empty vessel. His confusion rapidly turning into hysteria as he realised he was the only one awake. 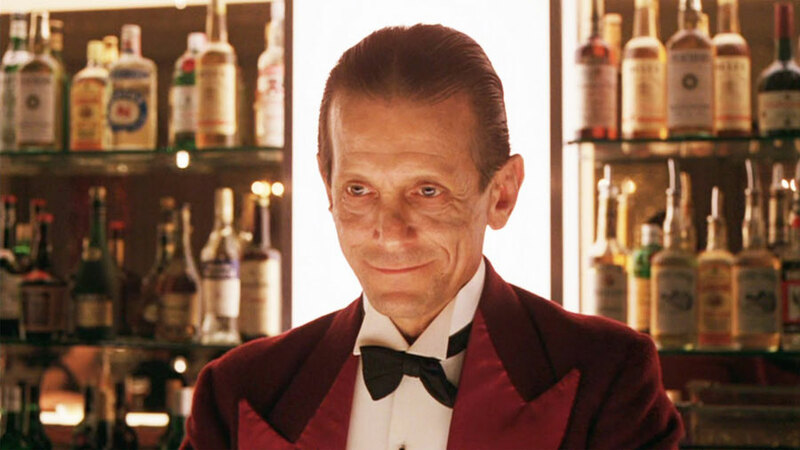 His only companion, a slick and highly entertaining robot bartender. And who better to play the role than Michael bloody Sheen?! Even if his attire reminded me of Lloyd from The Shining. Don’t worry, it’s not that type of movie. No murderous androids here. Sheen was sublime. His rapport with Pratt was brilliant. Desperately searching his bartending database to strike up conversation and offer advice. As much as you felt for Jim’s frustration and isolation as he came to his wit’s end after a year (A year?!) of playing around with robots, virtual dancing, getting smashed and wondering around the endless hallways naked (Yeah, the ladies will love that), the pace was testing by the hour marker. Doomed to travel in space alone. Unable to break into the captain’s quarters after months of trying. Contemplating the end. Jim was truly a man on the verge. That was until Katniss Aberdeen made her introduction. Pratt and Lawrence were brilliant. They had fantastic chemistry and were a great duo. Crucial when the film revolves primarily on just two people. The special effects were pretty impressive as the pair orbited the ship in anti-gravitational body suits, admiring the interstellar landscape. The inevitable sparks flying as the couple inevitably fell for each other. However, all was not as it seemed. The reasons behind Aurora’s (The lovely Jennifer Lawrence) pod failure made things a little more intriguing and certainly changed the dynamic of the film. Without spoiling too much, it pondered a surprisingly moral argument. Especially when Aurora discovered the truth. BUT it was never going to be that type of movie either. Thankfully, the ship’s increasing power surges soon created more noticeable issues than just some robots going haywire and broke the schmaltzy hokum as the pair had only a matter of time to save the ship and its comatose inhabitants from impending doom in the form of a dying star. Yikes. Pratt and Lawrence’s chemistry smoothed over some of the rougher edges of the film. Most notably, the giant plot holes; if an asteroid belt did that much damage to the ship, why was only one pod disturbed? Some of you might even laugh at the convenient arrival of Laurence Fishburne’s character (The Matrix) as the sh*t finally hit the fan; “We can’t get through these doors without clearance!” Guess who has and knows exactly what to do? Come on . . . 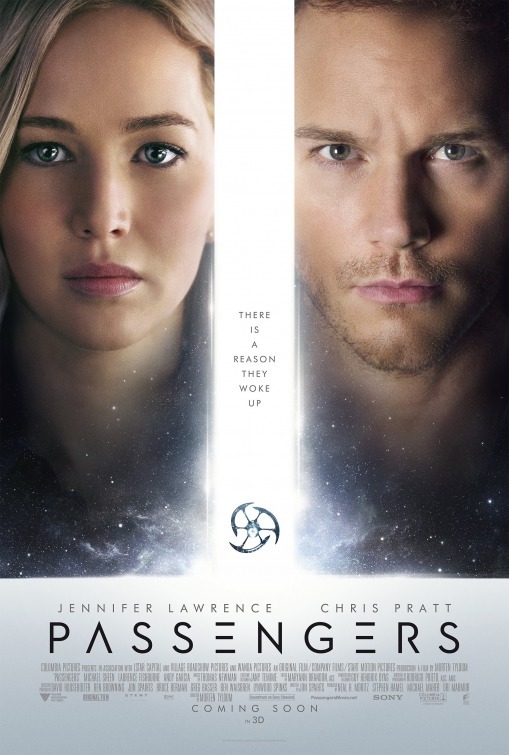 I actually didn’t mind Passengers. The explosions and set pieces did overindulge with the CGI too much by the end with everything getting a little too cartoony for my liking. The frantic (Though highly watchable) finale tragically ended on such a flat and corny note that it spoiled things a bit. BUT it was better than I expected. A slow burning romantic sci-fi drama. Just take it with a pinch of salt. If you’re expecting a hard-hitting thought-provoking sci-fi flick, go watch Arrival. If you want a big, dumb Hollywood sci-fi love story, then give it a go. It ain’t that bad.